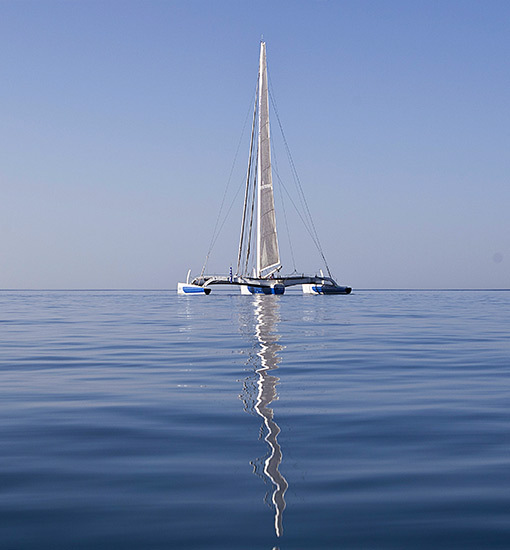 "Akron Aoton" (ex-Groupama) is one of the most successful yachts in Orma 60 sailing class. World known skipper Frank Gammas, the first skipper of Groupama led her to win the Orma Cup race 4 times. Later on, as HIQ the yacht won prestigious Round Gotland race and hold the speed record on the route of Helsinki – Tallin and in Round Tjörn race. 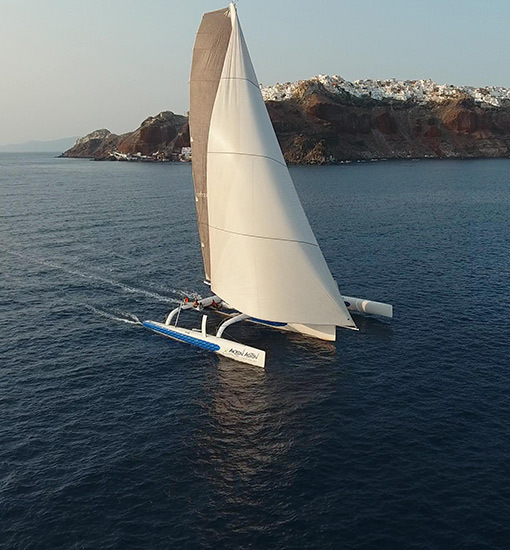 Designed by famous Nigel Irens, racing trimaran Orma 60 trimaran differs by her aerodynamic and light design. She can travel 3 times faster than the actual wind. 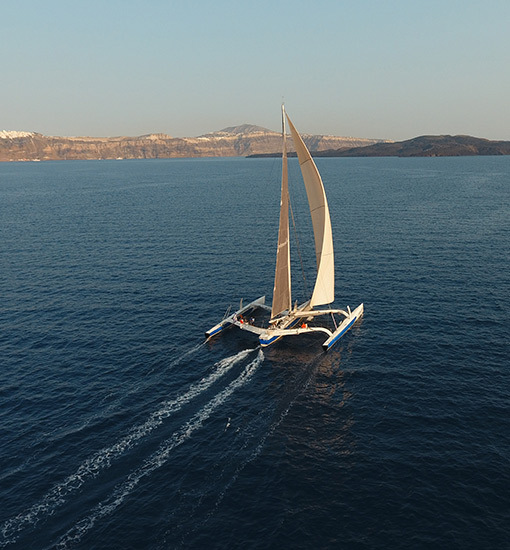 The yacht carries impressive sail areas, which along with amazing speed, inspire us for her new name "Akron Aoton" which means "the highest point" in Ancient Greek. 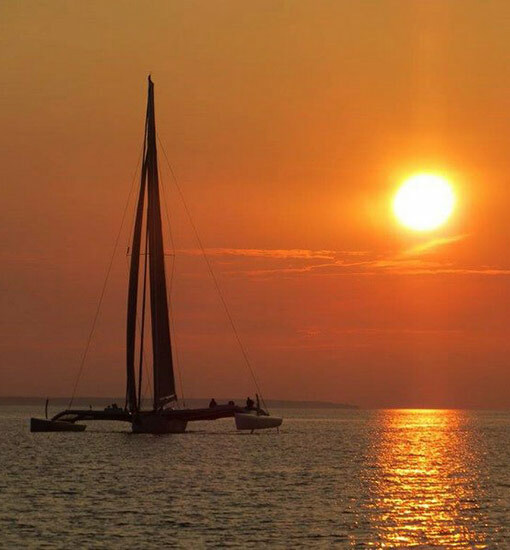 “Akron Aoton” the first and only trimaran Orma 60 in Greece can be chartered either for private day or half day sailing or corporate team building events. 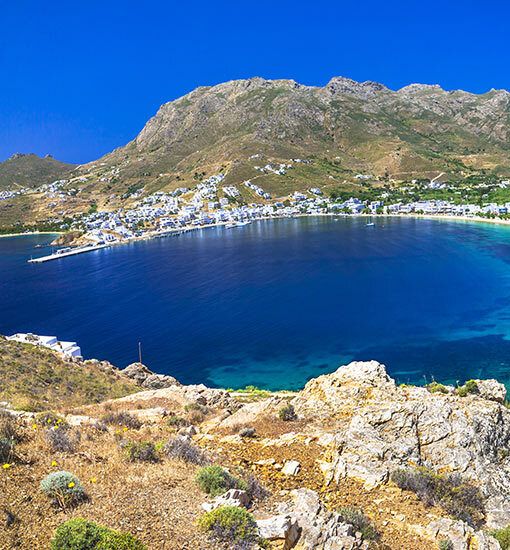 Have a look at our cruises and experience the real sailing!